Villella in rehearsal with members of Dimensions Dance Theatre of Miami earlier this summer. Photo by Joe Gato, Courtesy DDTM. This summer the legendary New York City Ballet dancer Edward Villella marked two full-circle moments. He returned to Miami for the first time since his controversial 2012 departure from Miami City Ballet, the company he founded, to coach members of Dimensions Dance Theatre of Miami. This new troupe was founded by former MCB principals and Villella protégés Jennifer Kronenberg and Carlos Guerra in 2016. Villella worked with DDTM dancers on George Balanchine's Tschaikovsky Pas de Deux and Tarantella, signature pieces during his performing career. While there, Villella announced that he would be coaching dancers at NYCB starting in September—his first time returning to the troupe where he defined major ballets like Prodigal Son and Rubies, which the company performs this fall. We spoke with Villella about keeping Balanchine's legacy alive, his big news, and his post-Miami life back in New York, where he lives with his wife Linda. What is it like to coach dancers led by dancers you worked with at MCB? It's terribly reminiscent. History has its way of repeating itself. But you have to know history. Or else how do you go forward? You never stop thinking. You continue. I'm not the same person now that I was then. So there's a little more that I might have to offer. This field doesn't sit still. We have to understand it, so that it progresses. The unfortunate part of our field is that people hear this word classical and all they think about is the 19th century. Classicism doesn't stop. It's a continuum. And you have to know the past to develop and to understand what's coming. That's the beauty of it all. Balanchine said it in the simplest of manners: "Ballet is a passing art form. You pass it body to body, but more importantly mind to mind." 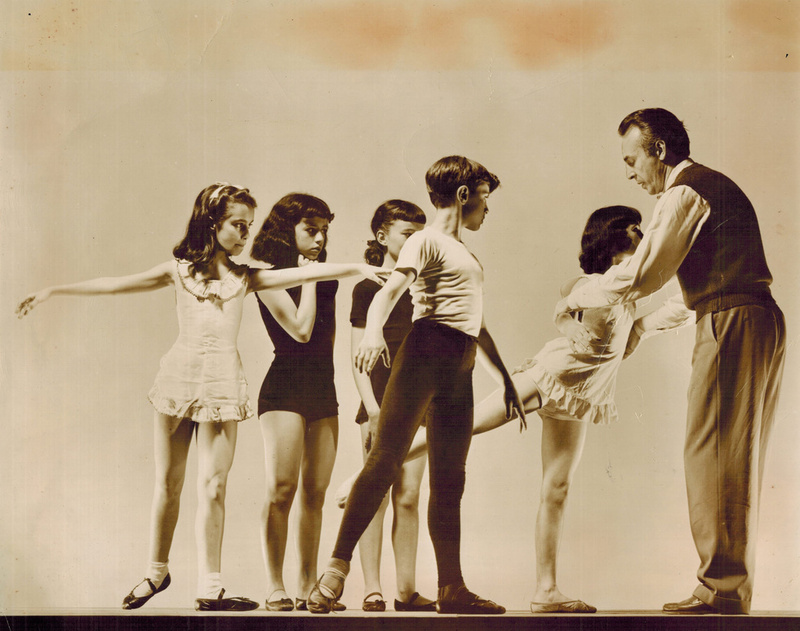 Villella and classmates with Balanchine at SAB. Photo Courtesy Villella. What's rewarding and what's difficult about coaching dancers in Balanchine works now? The rewarding part is the look in their eyes when they get it, when you pass something on to them that's a revelation. I had a call from Alexei Ratmansky. He said, "I'm about to premiere my version of Harlequinade, and I know you did Balanchine's, and I would love for you to come to rehearsals and work with me and some of the dancers." What he was after was not the technical part of it. And all I could see was technique, which is second nature and primary to them. There's nothing wrong with that, so long as you understand who are you onstage. Think of the character first, because the technique is with you forever. But you have to decipher who that character is and let the technique follow and support you. 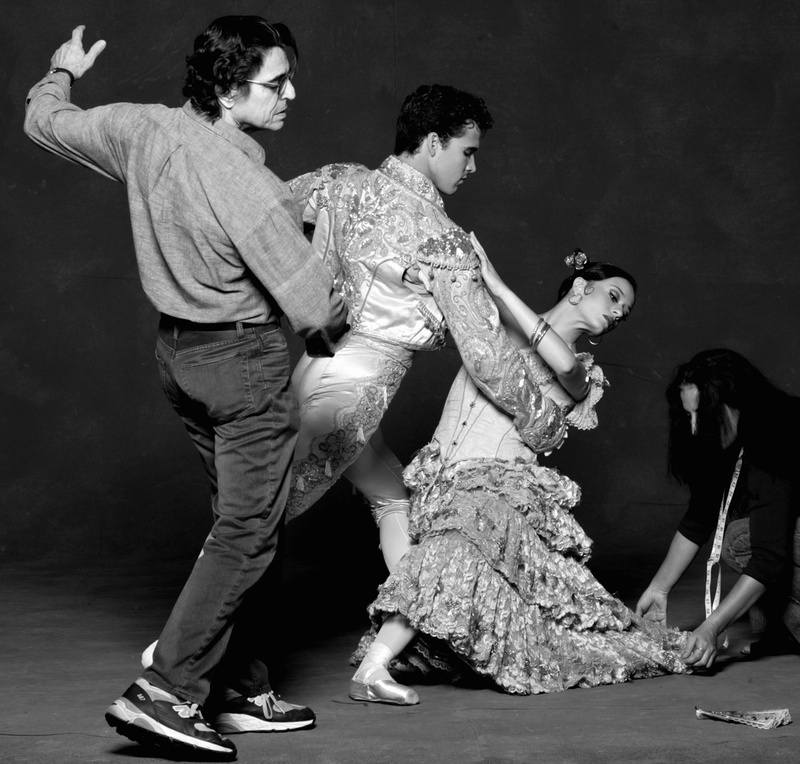 Villella rehearsing DDTM founders Jennifer Kronenberg and Carlos Guerra in "Don Quixote" at MCB in 2006. Photo by Joe Gato, Courtesy Villella. Dancers have incredible technique now. It's the period of technique. Are there other things that dancers today don't know? Yes—they don't know who they are onstage! [laughs]. Technique and positions are not hard to provide. But the internal understanding of a role is not obvious. You have to be guided in this. The first time I worked with Balanchine he was choreographing Square Dance. So I'm looking, and I'm like where do I get this from? Then I start to watch him, because in demonstrating a single gesture Balanchine gave you what he was interested in. He wasn't articulating and verbalizing them. He was physicalizing them. All I did was watch him. And every once in a while he said one or two words and I mixed those words with the visual. And it was perfect. 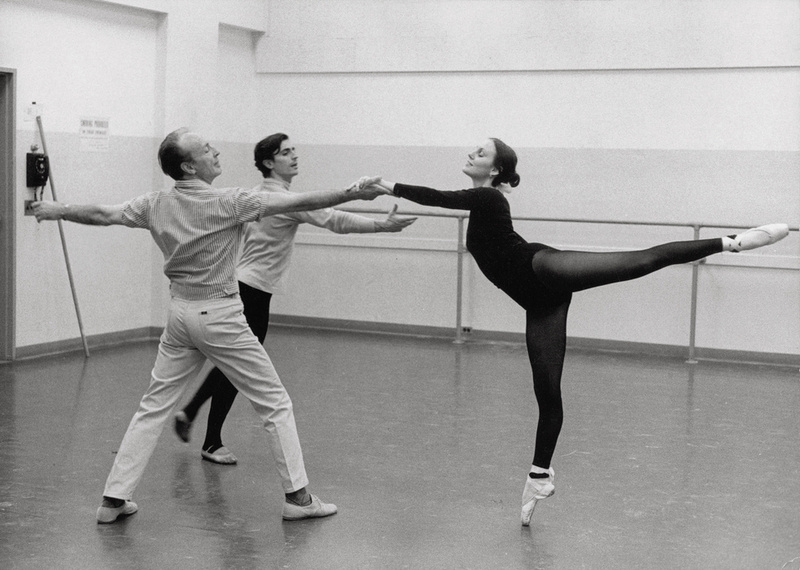 Villella and Patricia McBride in rehearsal with Balanchine in 1960. Photo by PhotoFest New York City, Courtesy Villella. Tell me how you got invited to coach at NYCB, and what you think about it. I was asked to teach a couple classes at School of American Ballet. Jon Stafford [one of the four interim artistic directors of NYCB] came to watch my class, and I had the pleasure of having lunch with him, and he asked specifically about coaching Prodigal and Rubies. I start on September 2nd with Patricia McBride on Rubies. They haven't asked me for a specific time for Prodigal but we've been mentioning it back and forth. For years I've been contacted by dancers there asking if I would coach them. And I'd say, "I'd be happy to do it but unless I have permission from your artistic director I would be interfering. Ask Peter [Martins] if it's okay and if it's okay I'll be there tomorrow." But that was something Peter was uncomfortable with. My generation has never been asked to contribute to the New York City Ballet. And we originated so many of these roles. Are you excited to work in the Koch Theater again? It's a familiar feeling that I'm looking forward to. It's nostalgic, its romantic, it's all those things. 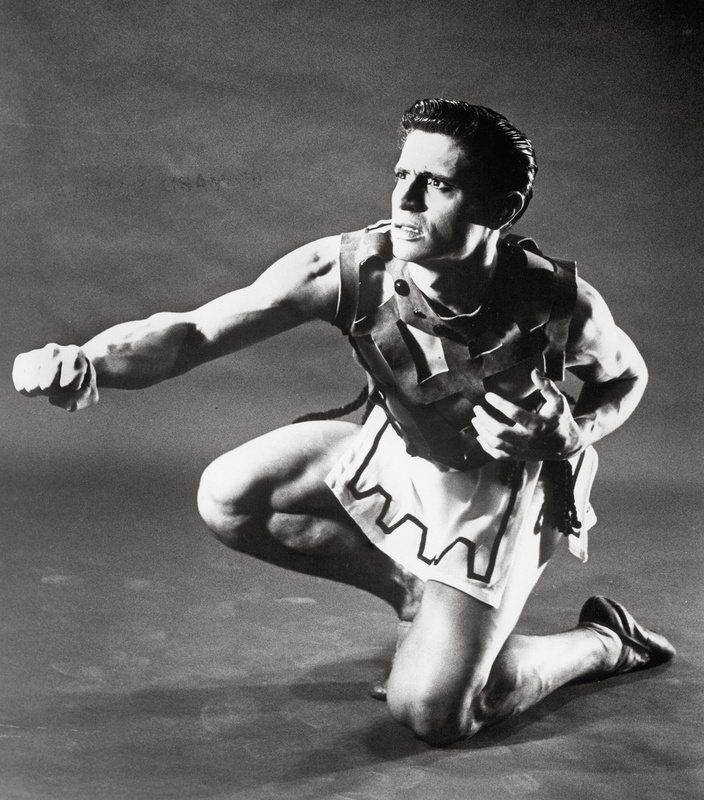 Villella in "Prodigal Son" in 1960. Photo by PhotoFest New York City, Courtesy Villella. How do you feel about the six years since you left MCB? First of all I'm thrilled to be back in New York. I grew up there. I had my whole career there. Everyone in New York is very familiar with me. I thought, when I got back, who the hell is going to remember me? And maybe the third day, we were going to a pharmacy, and someone from across the aisle said, "Hey Eddie, welcome back to New York, boy did we miss you!" I'm back in my hometown where they understand the level of my art form. I love the idea that I'm not directed by a board. I will never work for a board again. I've had the opportunity to travel and continue doing what I do. I stay in touch with the field. The other thing is for the first time I have the whole family around me. So in my own way I have it all. My fantasy was to finish in New York in a brownstone. So how happy can I be?